In some weird, unfortunate way, it was fitting that Ontario’s season would end under the unlikeliest of scenarios. 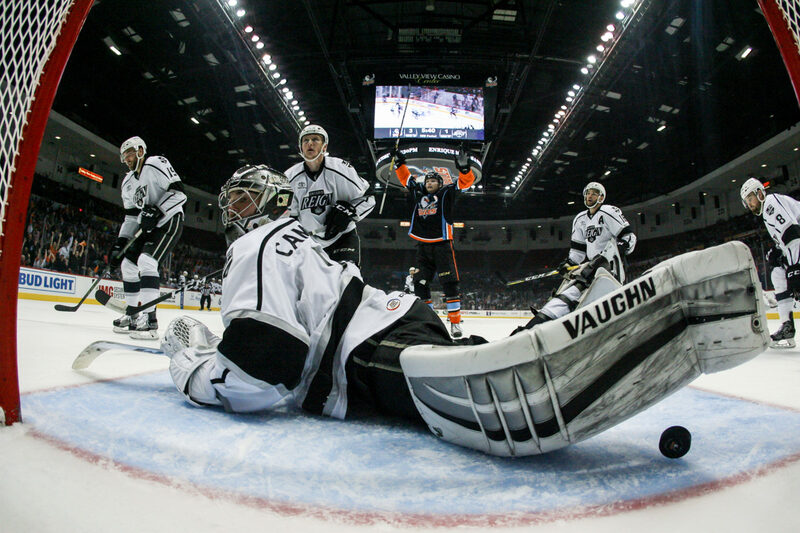 The scoresheet will forever read: San Diego Gulls 4, Ontario Reign 1, but the story of game and the 24 hours leading up to it will always be about this you-had-to-be-there goalie ordeal. 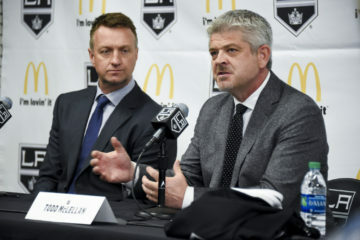 The morning of the Reign’s winner-take-all Game 5 on Tuesday against Gulls started with a big, unexpected question: Would No. 1 goalie Jack Campbell be available? That secret was even news to some of his teammates. 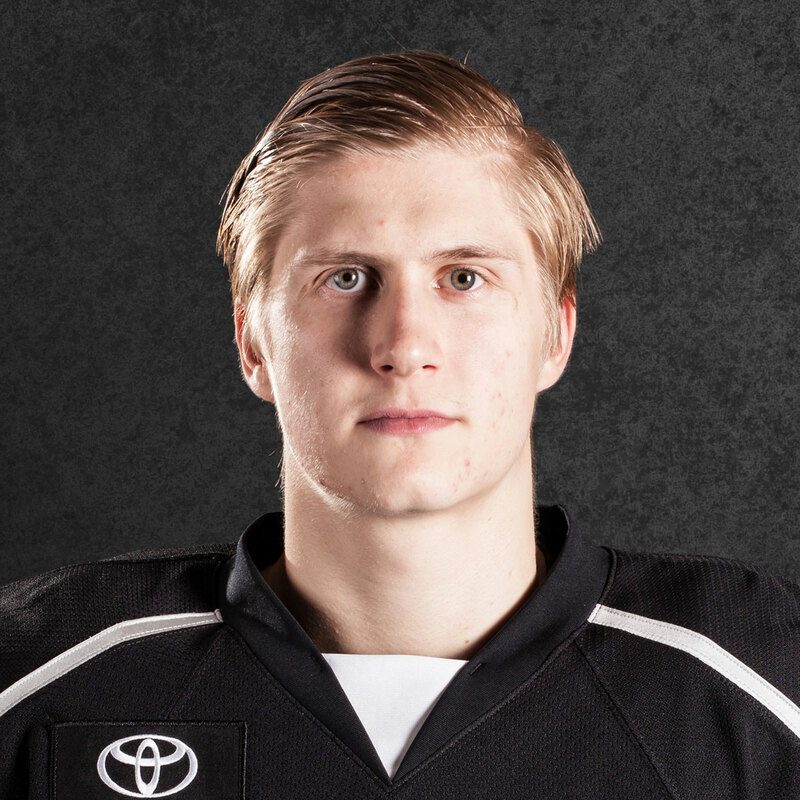 The Reign’s rock the whole season and series, played through his team’s Game 4 victory a night prior despite suffering a lower-body injury in the opening twenty. Head coach Mike Stothers decided after morning skate that Campbell wouldn’t even put his gear on for the decisive game. So veteran Jeff Zatkoff instead led the group out for warmups. That was the first surprise. Minutes later he was face-down on the ice in serious pain and being attended before being escorted off by trainer Mike Muir with the assistance of forward Michael Mersch. That was the second (and also horrible) surprise. 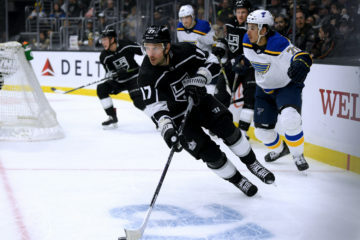 His teammates skated around somewhat aimlessly, attempting to prepare for their biggest game of the season before heading back to the locker room. 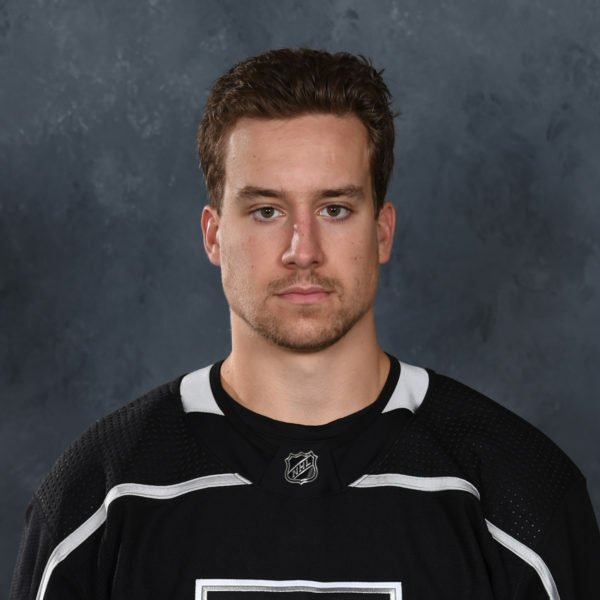 Jack Flinn, the 22-year-old of who played in just five games with the Reign all season and was mostly relegated to work with ECHL-Manchester, would start. 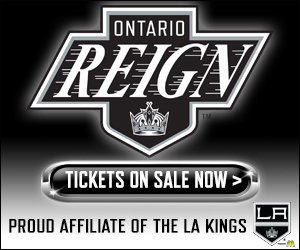 The third-string Flinn hadn’t played since April 8 and was forced to enter in the Reign’s biggest game of the season. “Well, there wasn’t a whole lot of time to think about it so I just focused on trying to stop pucks,” he said. “That’s a real tough situation for anybody to go into and he faced it head-on. He didn’t look the least bit worried or nervous, he just wanted to help his team out,” Stothers said. 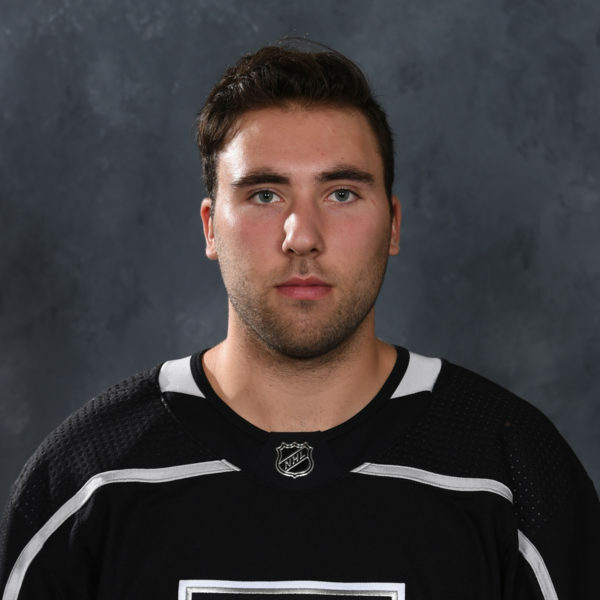 When the gate near the Reign locker room opened out came Campbell in relief: “He goes from not even suiting up to all of a sudden getting his stuff on … stretching out. He was still limited with the injury he had. Took some time. Who was expecting what happened to Zats to happen in warmup? You could have never predicted that one,” Stothers said. To start the game Campbell wasn’t on the bench because, well, there’s no room for backup netminders there in San Diego’s old barn, the Valley View Casino Center. Instead, the trainers have an ear bud to chat with those back in the locker room and that was Stothers’ mean of communication back to Campbell. When he entered he was steady, although, limited. Ontario did a valiant job keeping the puck out of his direction during the comeback attempt. They peppered the Gulls’ Jhonas Enroth with 16 shots in the second period and then another 15 in the third. 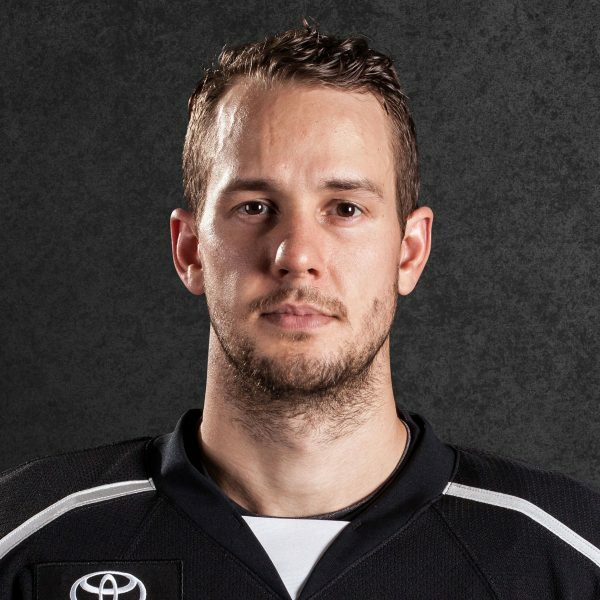 They broke through on a third period goal by Brett Sutter, but failed to score on four power plays, finishing 1-for-16 in the series. An insurance goal by their former teammate Jordan Samuels-Thomas at 14:20 of the third put to rest any and all hopes of making it a game. Samuels-Thomas’ shot was his team’s 15th and final one on Campbell, who looked especially uncomfortable at the end of the second when having to move side-to-side on the Gulls’ final power play. 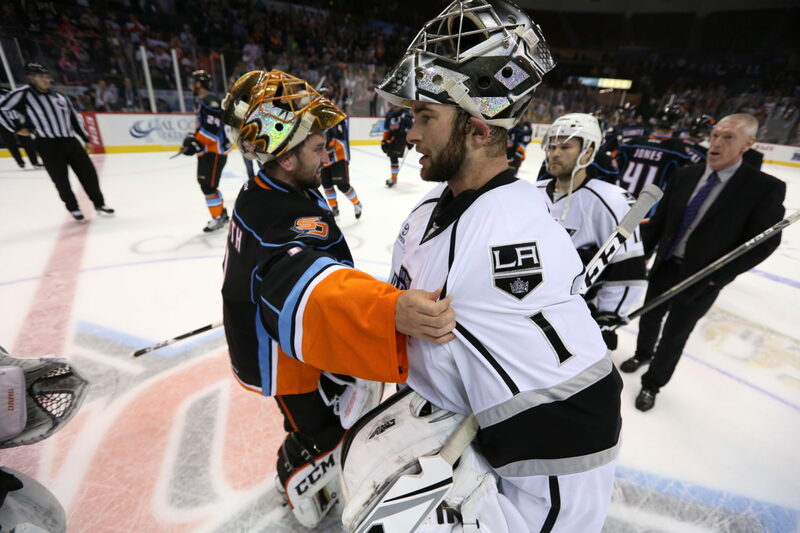 In the end, the Reign did all they could under the bizarre circumstances. But for this organization as whole, this was the year of the goalie injury. 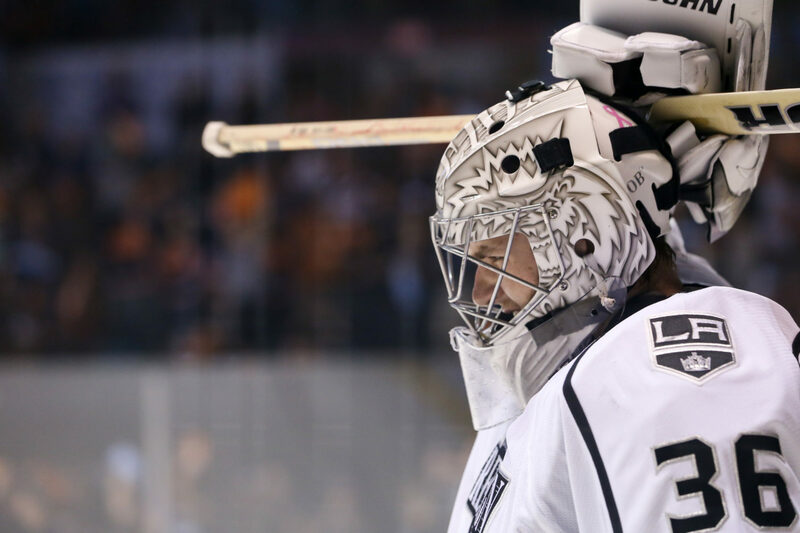 The Kings’ season started with Jonathan Quick going down and the Reign’s ended with Campbell unable to play at 100 percent. He declined to talk to the media afterwards and didn’t want to divulge any details about his injury. But of course the Reign’s season would end with yet another bizarre story, right? Don’t forget, this was the season when goalie coach Dusty Imoo backed up his son Jonah in a game in late October. That was due to injuries up to both Quick and Zatkoff. It was one they couldn’t overcome.